← Daily Prompt: Goals: express myself as others do!! One with a shadow of a tree in my garden. Our little Sony Cyber-Shot camera takes amazing pictures. This camera was a christmas present to my son from his grandmother. My son and I both use it. It is our creative friend. 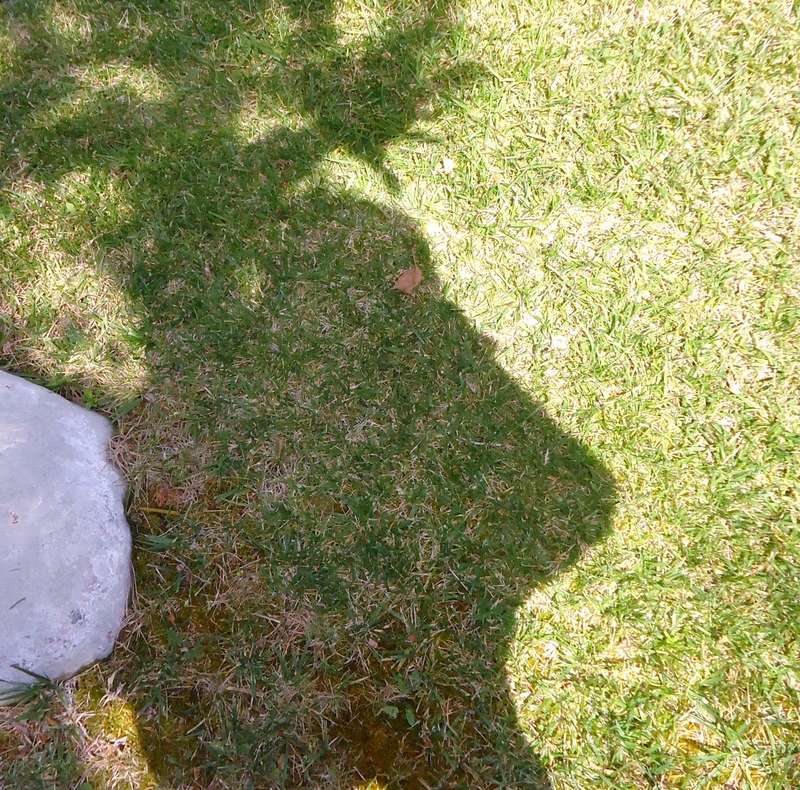 The image is of a human shadow that is “one” with a tree nymph of a cypress tree in a garden. Two shadows merge together as one. It you study the image you will notice aspects of the tree shadow blending with the human shadow. A hand and thumb extend out from the cypress. The human is slightly bent to right with a hidden shadowy tree nymph. There is magic in this garden. Look to the background: look towards the shadowy places in your garden.. and you will find the nature spirits there. This entry was posted in Nature Politics and tagged » Weekly Photo Challenge: In the Background, creative friend, cyber shot camera, cypress tree, nature, photos, plants, shadow, sony cyber shot, Sony Cyber-Shot camera, spirituality, tree nymph, Underground, Women. Bookmark the permalink.